If there’s one thing I hate it’s WASTE!! There are many hungry people all over the World – including Oxford. Yet on average, a family with children spends £680 every year on food that ends up in the bin. Nearly half of what is thrown away is fresh fruit and vegetables. One way to help us value our food and minimise waste is to grow our own. Somehow slaving away in the garden, lovingly nurturing plants makes you appreciate how genuinely amazing nature is. It’s far harder to throw away a squished tomato that your child has sown from seed and endearingly cared for. However, we’re not all lucky enough to possess a garden, and this is where foraging comes into play. Getting out on a sunny autumnal day and spending an hour or so picking gloriously wildly grown fruit, followed by cooking up a delicious apple pie, is one of the most satisfying sense of achievements a child can experience. 1) Nosey in your neighbours gardens. It’d be a shame to let some juicy apples or brambles go to waste just because your neighbour doesn’t know what to do with them. 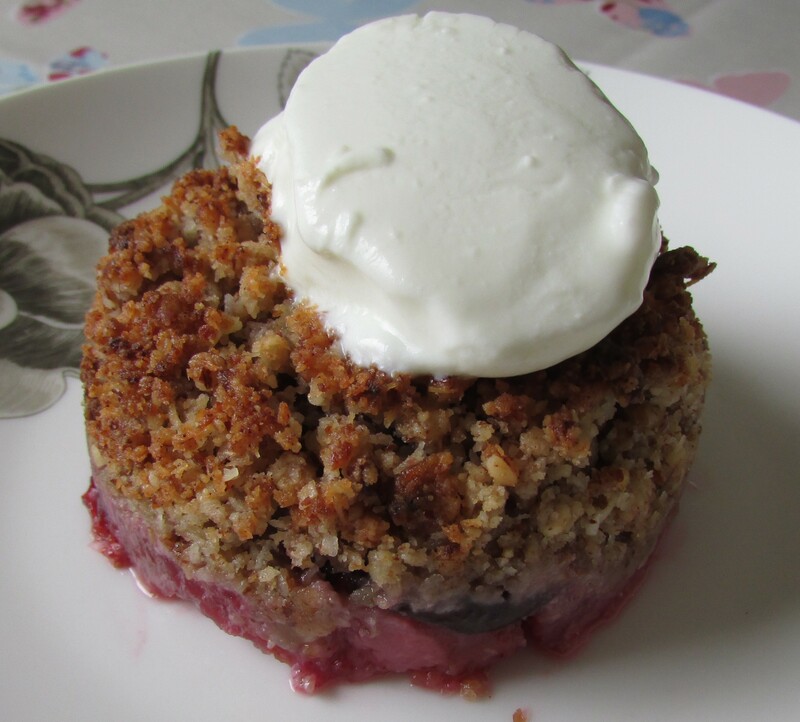 You could offer a crumble in return for some free pickings. 2) Public parks in Oxford. At the moment parks are brimming with apple trees, yet the fruit goes to waste. Don’t be scared pick away and put the fruit to good use. 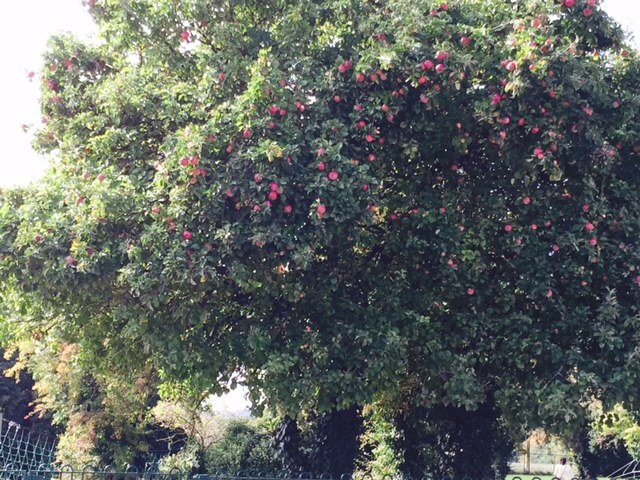 We’ve got a glorious apple tree in the park at the end of our road in Headington. The apples taste yummy! If you search on google for where to forage, you’ll often find plenty of information on public picking spots. Just click the link here to find one for Oxfordshire. This entry was posted in Blog posts, Food scrap meals on September 29, 2015 by carolinementzer.